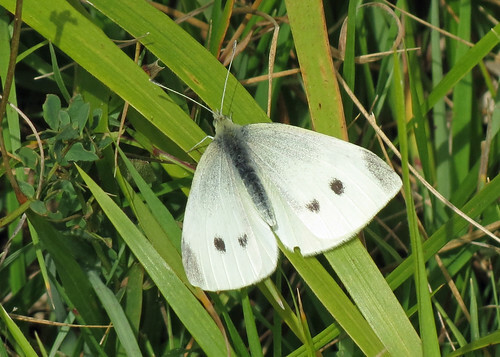 A sunny morning found a good range of butterfly species on show at this small unassuming reserve, tucked away in the Yorkshire Wolds. 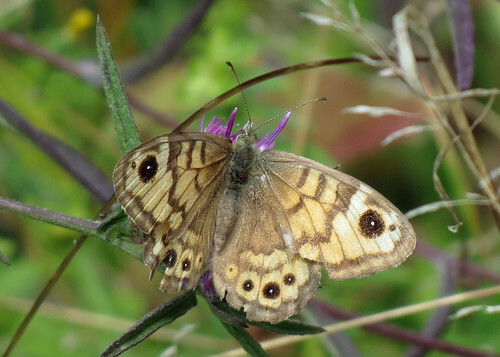 It was nice to find a Wall Brown Lasiommata megera, albeit a little worn, a species that is rapidly declining in number, unusually in a northward direction. 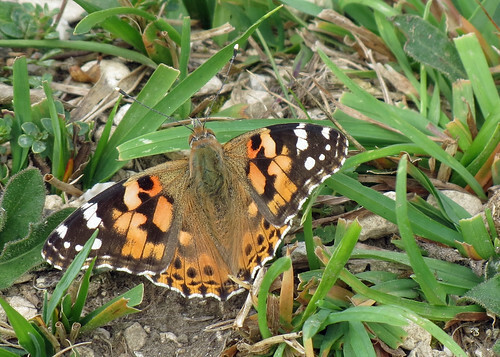 I was also rewarded with my first Painted Ladies Vanessa cardui of the year, a migrant species that is in short supply this year, along with another similar migrant Red Admiral Vanessa atalanta. 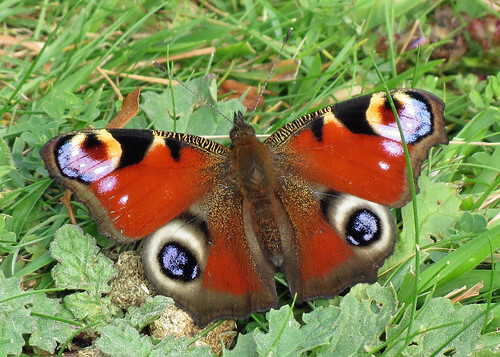 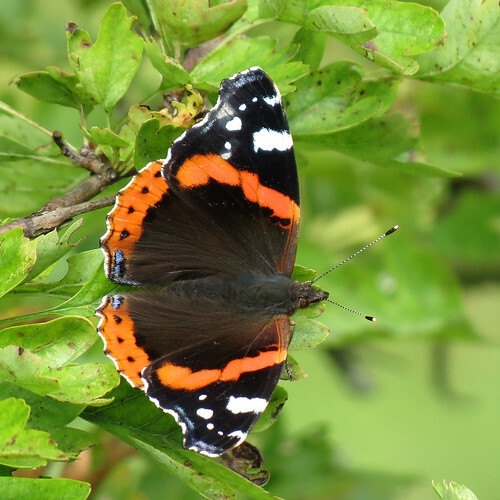 After a disappointing spring it’s been a good year for our summer species, with good numbers of Small Tortoiseshell Aglais urticae, Peacocks Inachis io, Large Whites Pieris brassicae and Green-veined Whites Pieris napi evident. 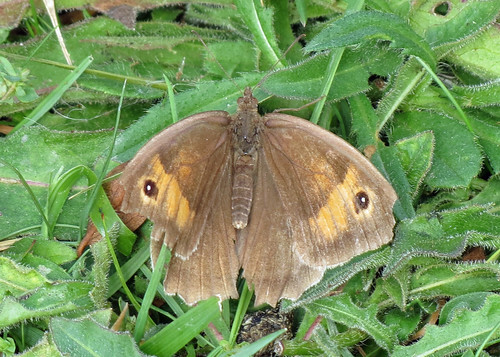 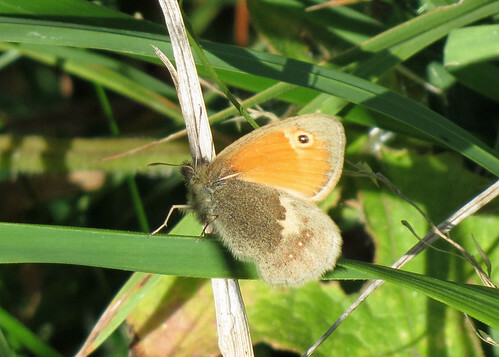 Several Meadow Browns Maniola jurtina were still on the wing, though all looking very abraded. 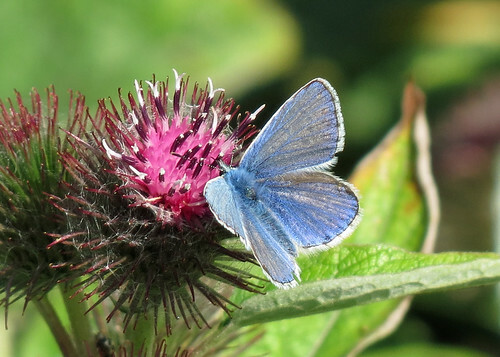 Finally several Common Blues Polyommatus icarus were still present, along with a single Small Heath Coenonympha pamphilus and a few Speckled Woods Pararge aegeria.